Venture into most major cities across Australia and you’ll find yourself eating or drinking in a venue that sits beneath a residential building. These may be five-star dining destinations or they may be cheap and cheerful quick eats. What’s important is that many developers are ensuring their multi-residential projects include provision for at least some food and beverage component. Of course, the presence of ground floor retail and dining in residential buildings has been around for as long as there have been residential buildings. What’s different is the degree to which this dining and drinking inclusion is being used as a selling point to attract buyers to specific projects. Attracting high-quality restaurants has become a major drawcard for residential projects, and a way of distinguishing one project from another. The inclusion of any eatery or restaurant can help foster a sense of community within the building, as well as integrate the building with the surrounding neighbourhood. 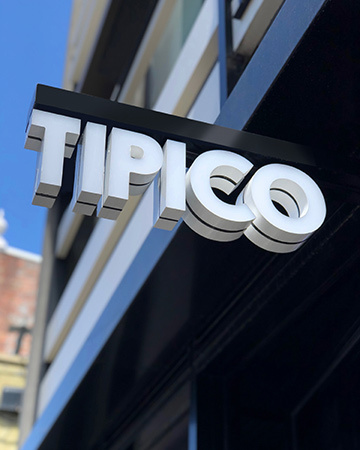 One such example is Tipico on High Street, Windsor. The venue sits beneath residential project, Coach House, a project that featured on ApartmentDevelopments back in 2015. A considerable number of projects listed on ApartmentDevelopments feature a retail or dining component in the plans, particularly within inner-city locations, and it’s easy to understand why. Having somewhere to grab a coffee on the way to work, or dinner on the way home (pasta and pizza in the case of Tipico) is clearly a bonus to consider when choosing where to purchase an apartment. It seems ‘the restaurant downstairs’ is a concept that will likely continue to stand the test of time.